Perfect with my copper vessel sink! Dimensions 3.0 In. X 3.0 In. X 7.0 In. Used with the Premier Copper Products Oval Bucket Vessel Hammered Copper Sink with Handles- great price, easy install with a seamless look. Purchased the Newton copper bath sink, and this drain went perfectly with it! Very happy with my purchase, and it arrived very quickly!! This is a great drain, but was the wrong size. Unfortunately, I had to return to order the proper size. Some of the drain sizes are not as detailed as they should be. 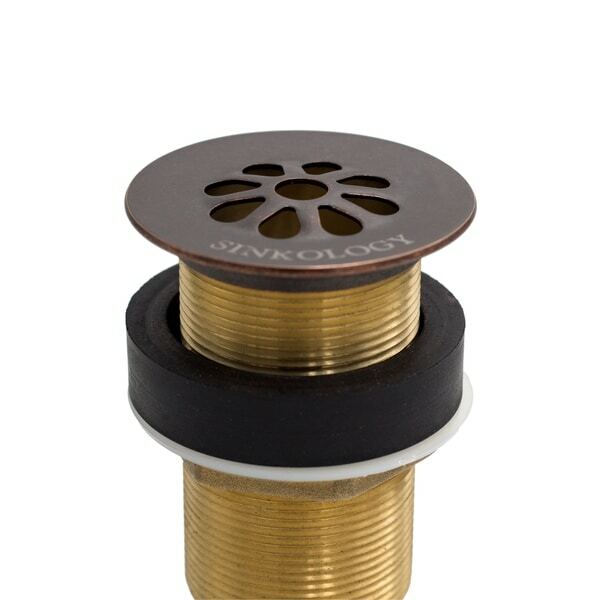 "I just purchased the sinkology newton 14" undermount or dropin copper bath sink. will this fit it?"